Not everyone is a telecom nerd like we are. When you send or receive a text message using Twilio, we go to great lengths to ensure that the nerdiness and complexity of the telecom world stays well hidden. While you might not care how the sausage is made, sometimes that process can reveal a great deal of useful information. In this case, the process reveals information that can help you improve the reliability and readability of your messages. 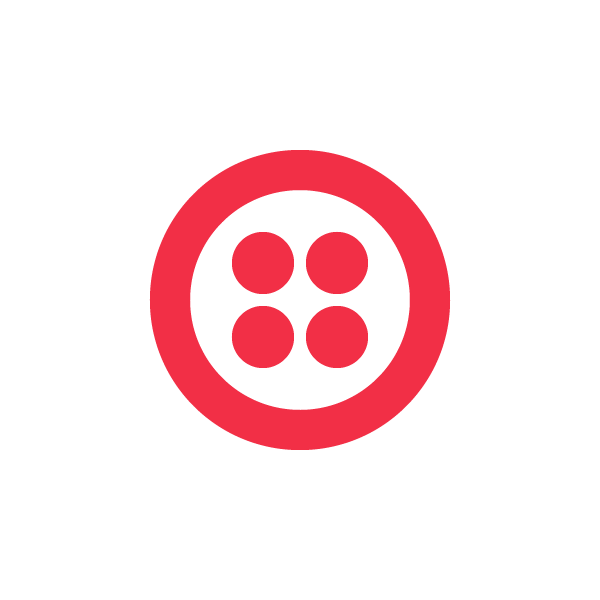 That’s why we’re excited to announce Twilio Messaging Insights. Messaging Insights is a gradual roll-out of new messaging features that provide you detailed information about how your messages are performing out in the wild. 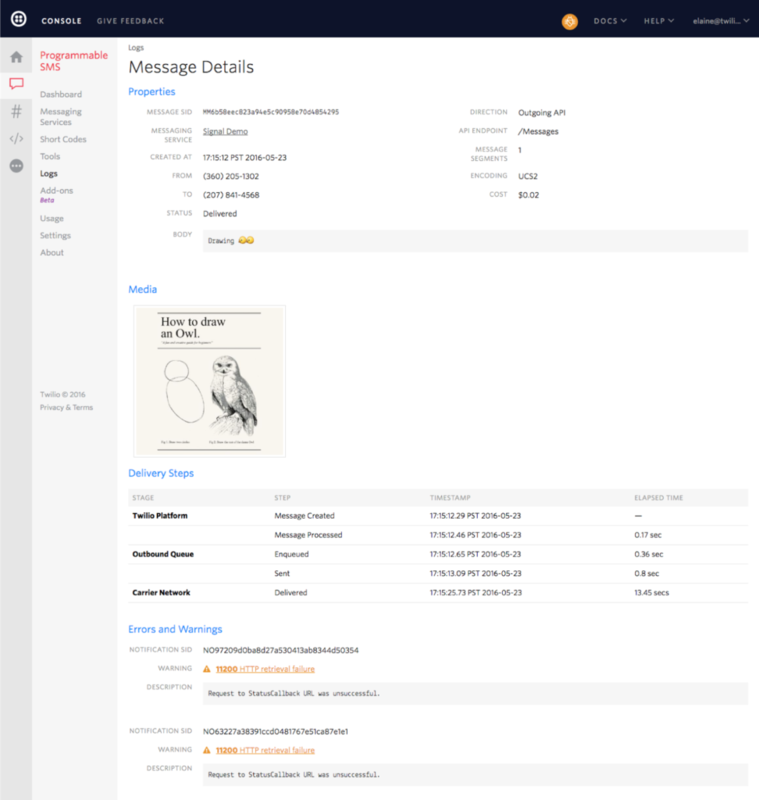 The first phase of Messaging Insights is exposed through a completely redesigned Message Details page in your Twilio Console. This gives you a drill-down view into a single message sent through Twilio. The first thing you’ll notice is a designation of the Twilio API endpoint you sent the message with. Why is this important? Overall this can help you understand the feature set of the API endpoint you’re using and compare it to the latest available from Twilio. For instance, if you see the API Endpoint /SMS/Messages, you’re using our now deprecated messaging endpoint and it’s time to upgrade! Next, the Messaging Detail page will show you how each message is encoded by Twilio. We show you the number of segments used for each message and whether a message was encoded using GSM or UCS-2. This information can come in really handy for understanding how a message will display to an end user and because character encoding affects concatenation length. Messages encoded in UCS-2 are concatenated into 70 character segments as opposed to 160 for GSM. If you include Unicode characters in a message, Twilio automatically encodes your message as UCS-2 so it can be sent successfully. However sometimes Unicode dash or space can accidentally be added to an otherwise GSM compatible message. This could double the number of message segments sent because of the shorter UCS-2 concatenation and now you know where to look! Scroll down the Message Details page and you’ll find a new section: Delivery Steps. Delivery Steps shows the steps a message goes through when transiting the Twilio infrastructure and how long it took for each step before it goes out to the carrier network. This level of visibility is extremely helpful in troubleshooting any message latency, for example with queuing. Again, if you’re using the deprecated endpoint, Delivery Steps will not be available to them (another reason why you should move onto the new endpoint!). For the keen eyed- you’ll notice that my status callbacks (deliberately) failed in the first screenshot. That’s because I wanted to illustrate we actually send you two status callbacks for each message- one for when the message was sent to the carrier network and another when the carrier reports it as delivered. Messaging Insights are stored for seven days. We’re particularly proud of these additions to the Message Details page because no one else in the industry gives you this level of real-time logging or transparency into their infrastructure. It’s especially useful when debugging your app (as I can attest!). Try it yourself. Go into your messaging log, select a message and you’ll see all the information associated with that message. Or sign up for Twilio and check it out.